Naata Nungurrayi is a respected senior elder and is recognised as a highly important artist in the Kintore women's artist movement. Naata was born c.1932 at the rockhole site of Kumil, west of the Pollock Hills in Western Australia. She lives now in Walungurru (Kintore) with her sister Nancy Nungurrayi. Naata is from the Pintupi Language group. Naata and her family came to Papunya from the desert bush in April 1962, and were brought into a camp by Jeremy Long, who was operating patrols out of Darwin. When Walungurru (Kintore) was established as the main Pintupi settlement in early 1982, Naata moved there with Pintupi people from her camp and from the west camp at Papunya. Naata started painting in late 1994 at Kintore along with other women artists from the Haasts Bluff community, and began commissioned paintings for Papunya Tula artists in 1996. Naata is a full blood sister to Nancy Nungurrayi Ross, sister to George (Hairbrush) Tjungurrayi, and mother to Kenny Williams Tjampitjinpa; all highly respected artists in their own right. The Dreamings that Naata paints depict sacred women's sites and women's ceremonies in the Kintore and Kiwirrkura region. As an elder and through her lineage, Naata is one of the few women to have permission to paint certain features of these Dreamings. She has developed a distinctive style, quite different to the mens' style of the region. Her paintings are sought by most major Australian galleries and collectors worldwide. Naata's artworks have been exhibited in the 17th, 18th, 19th, 20th, 22nd, 23rd, 24th, and 25th National Aboriginal and Torres Strait Islander Art Awards ("NATSIAA"), a prestigious Award established in 1984 to recognize the important contribution made by Indigenous artists, and is now one of the premier national events in the Australian Indigenous art calendar. 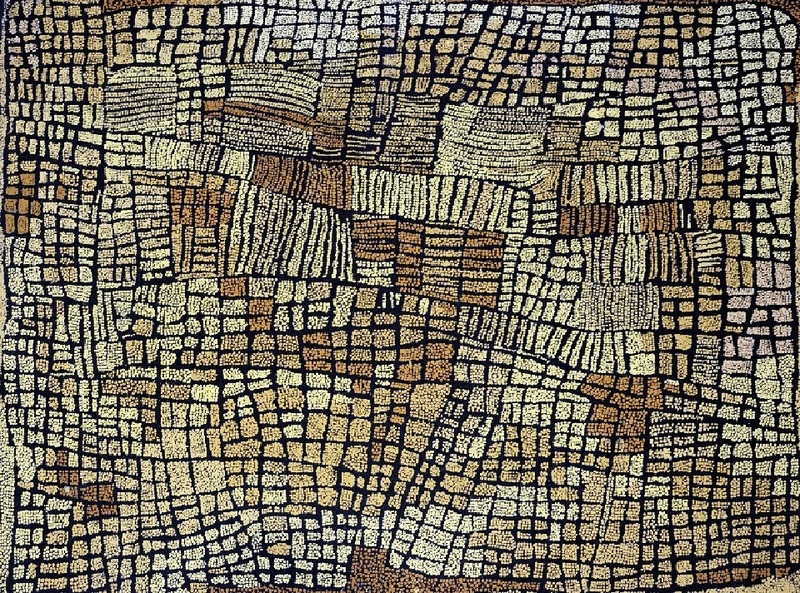 In 2002 (the 19th NATSIAA) Naata Nungurrayi was awarded "Highly Commended". In 2003 Naata Nungurrayi was honoured with having one of her paintings chosen to appear on an Australia Post International stamp, and was named among the Top 50 of Australia's Most Collectable Artists by Australian Art Collector in 2004.